Beauty must be showcased to the world. Not hidden from view. A thing of beauty is a joy forever. It’s loveliness increases. It will never pass into nothingness. Nowhere is this more evident than with the unsurpassed artistic beauty that Elvis left behind for all of us to look at and enjoy. Take the four Elvis record covers before you. What do you see? Look closely at the top two first. They are the unique and beautiful Japanese “Elvis Golden Story” volume 1 and 2. Released on October 15 1965, volume 1 (left) showcases a gorgeous color head and shoulders photo from “Girl Happy“. This is a single greatest hits LP with a super booklet cover containing a 10 page lyric and photo booklet. Also included is a 20 by 12 inch color poster, a 1966 calendar, an Elvis autograph on the inside front cover, as well as the original Japanese OBI from 1965 . Volume 2 is just as beautiful as volume 1. It features a superb color studio pose from “Viva Las Vegas “. When you hold this album in your hands, the Japanese photography is so crystal clear, you can see the pores in the king’s skin. Now look at the bottom two covers . Surely both represent other Japanese Elvis LP’s from a different place and time? The truth is they are the BACK covers to volume 1 and 2! The beautiful “Love Me Tender” photo showing Elvis with guitar is the back cover to volume 1 ,while the sensational color head and shoulder shot from “Girl Happy” is the back cover to volume 2 . Now I ask you, how is it possible that many Japanese Elvis records have BACK covers vastly superior to most American front covers ? And, as I said in my opening remarks, why should this unique beauty not be showcased to Elvis fans everywhere in the form of an International Elvis exhibition at Graceland? It would be the most exciting thing to happen there since it opened to the public in June 7th. 1982. As I write this, the bulldozers are hard at work near Graceland . They are clearing the way for future exhibitions. But wait. We already have a Kiss costume , a Jimi Hendrix vest, Marty Stuart items, as well as numerous other pieces that seem just as irrelevant. Yet all are currently on display at Graceland … why? Soon new exhibitions will feature items from Prince and Marilyn Monroe to add to the new direction in which Elvis Presley Enterprises is taking us. Has everyone at EPE detached from the mother ship and floated away? Ground control to Major Tom.. is anyone out there? Is no one at EPE aware of the nature and quality of the acts being committed? Is relevance to Elvis no longer a consideration? 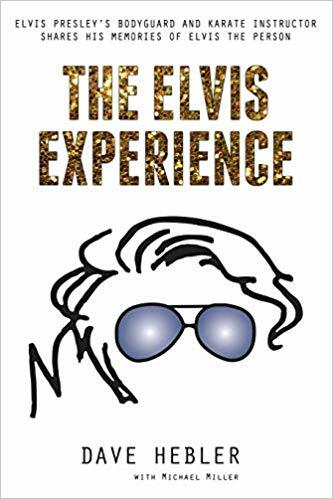 Surely we must not allow Elvis to be turned into a bloated commercial commodity, now forced to share his exhibitions with others, while the true beauty of his most remarkable works remain largely hidden from those that love him. The endless conveyor belt of jump suits and “commodity Elvis” is bad enough. But when combined with Kiss, Hendrix, Marty Stuart, Prince, and Marilyn Monroe, the true direction of the long and winding road becomes blurred with commercial mediocrity and relevance issues. Elvis once said … “Long after I’m gone, what I did today will be heard by someone. I just want them to get the best of what I had”. Surely, through an international exhibition of great beauty, the time has come for his fans to at last see “the best of what he had”. This can only be achieved if we act now to develop and market the man with great pride and dignity … the way the Japanese did. Let’s face it. We go to Graceland to love, honor, and pay our respects to the greatest entertainer who ever lived. ……isn’t it time EPE did the same ? ?